Located in Montgomery County, the Green Lane Reservoir provides drinking water to the town of East Greenville through the smallest privately owned water treatment plant in the state of Pennsylvania. Aqua Pennsylvania, a public water utility, draws water from the Perkiomen Creek just downstream from the reservoir. A growing population and increased development upstream from the reservoir has intensified stormwater runoff, and the Green Lane Reservoir is considered impaired by the Pennsylvania Department of Environmental Protection. 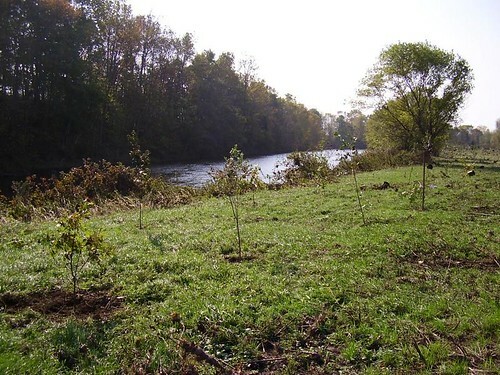 In the interest of protecting drinking water resources and improving the health of the watershed, the Perkiomen Watershed Conservancy (PWC) teamed up with the Borough of East Greenville and Aqua Pennsylvania to restore several acres of forest upstream from the reservoir, utilizing funds from the Schuylkill Watershed Initiative Grant. 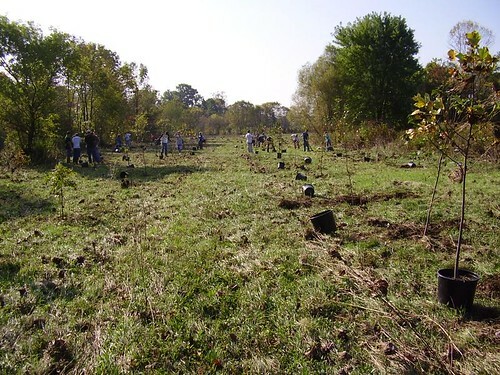 Reforestation is typically the best approach to improving water quality in any watershed. Trees, shrubs, and other vegetation soak up huge amounts of water, stabilizing soils and shading streams. In our region, mature vegetation is able to consume more than half of an average annual rainfall (PWC Cross Currents Newsletter, Summer 2007). Development that removes forested areas increases paved surfaces, which dramatically increases stormwater runoff pollution and velocity, impairing local water quality and eroding stream banks. Reforestation not only slows this destructive force, but it also filters pollutants from the runoff. Deep root structures stabilize soil to reduce erosion and land loss, and also soften it to increase infiltration and groundwater recharge. 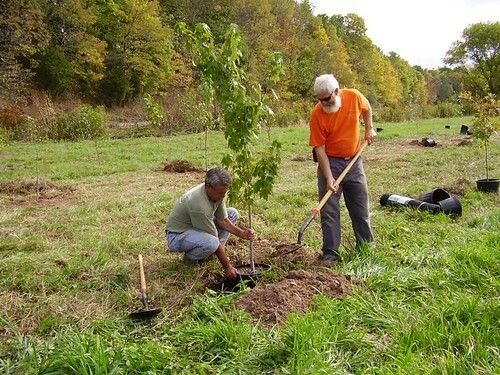 A couple of years and hundreds of man-hours since the project began in 2005, over 2,000 trees have been planted in the Green Lane Reservoir area. Invasive plants have been removed, and deer fencing was installed to protect the restored areas and increase plant survival. Encouraged by the success of the Green Lane Reservoir project, PWC and the Borough of East Greenville plan to continue their newly formed partnership in future restoration projects.